In the past 30 years I have stayed in a lot of hotels. During the first of those years I traveled often for my job, which was in tourism. After I quit that profession, we still traveled during our holidays and long weekends. There were bad hotels, there were excellent hotels and there were hotels which I will always remember. Tonight we have just returned from a weekend in Bergen, a village in the province of North-Holland, where we stayed in such a memorable hotel. It’s called Blooming Hotel and we loved our stay there. It is a hotel with a colorful interior, lots of little corners to lounge on cozy sofa’s, a large reading table, a free library, 2 restaurants with creative and tasteful food, a very good breakfast buffet and a nice atmosphere. And they have roomtypes for every budget. 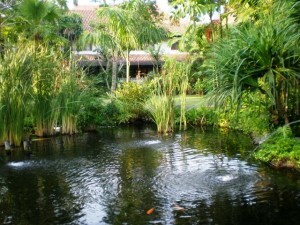 One of the worst hotels we stayed in was the Pondok Eka. This is the best hotel in Sengkang, a district capital in South Sulawesi, which is one of the largest islands of Indonesia. The bed in our room had only a sheet to cover the mattress and no sheet to cover us, so we had to sleep under a nylon blanket which did not feel and smell like it had been washed recently. The bathroom had grout between all tiles. The electric wiring was hanging loose against the walls, so I did not dare to use my hairdryer because I was afraid I would put the whole town in darkness. At breakfast we only ate dry toast and drank bottled water as the other food looked too disgusting to even consider eating. And the service was surly. We did not want to think about the standard of the other hotels in this town. 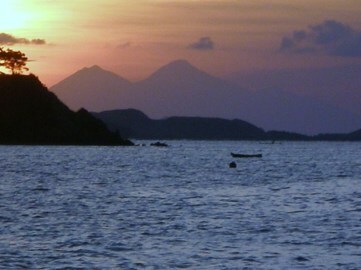 Four weeks ago we returned from our last holidays, which we spent in Singapore and on the islands of Lombok and Bali. On Bali we had to say goodbye to another memorable hotel, the Santika Beach Resort on Tuban beach. Over the past years we have often stayed in this hotel which was situated on a long but narrow strip of land. It was not one of those gigantic hotels and offered only 170 rooms. The style of the buildings was Balinese and they were surrounded by beautiful gardens and we enjoyed walking through them on our way to the beach. There were four hotel ducks, which were very popular with the guests and every day after breakfast they were fed the bread leftovers. Guests could use the two large, beautiful swimming pools. Some of the rooms were maybe a little old fashioned and started to look a bit tired, but everything was in good working order and scrupulously clean. The staff were amongst the best we ever met in the hotels were we have stayed and were always friendly and ready to have a talk. Unfortunately the powers that be decided that the Santika hotel would close its doors on October 10, 2013. It will reopen in 2016 and will then offer 500 rooms and an underground parking garage. We have no idea what will happen to the beautiful gardens but fear that there will be no place for them. And we also have no idea how the staff will fare, as they were all dismissed and will not be offered a new job when the hotel reopens. Still, we enjoyed our last stay there very much as the staff did their utmost to make all guests feel happy. Upon our arrival we were offered a welcome drink, which is a nice custom in most Balinese hotels. We liked this one very much: it had a lemony taste, but also something sweet, like vanilla. On our last day I asked the barkeeper if he could give me the recipe which he did willingly. It is very easy to make and requires only 4 ingredients. Lemongrass is one of them and that makes it not only a delicious but also very healthy drink (OK, we will not talk about the sugar, which is one of the other ingredients……). 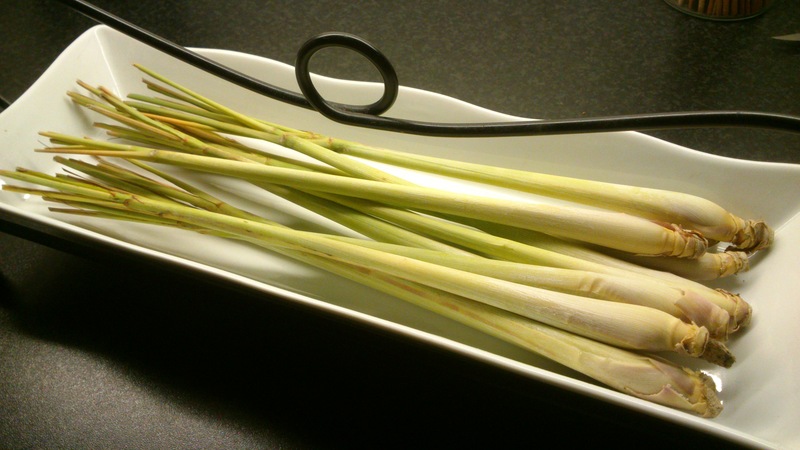 Lemongrass is widely used as an herb in Asian food and has a fresh, lemony flavor. Used in drinks it helps fight coughs and colds. Lemon grass oil has antifungal properties and is also used to repel insects. This drink is nice to offer as an alternative to guests who don’t take alcohol, so might come in handy with Christmas and end of year parties just around the corner. And if you want to battle a cold, don’t cool it, but put some slices of fresh ginger in a tea glass or cup and pour the hot drink on it. You will feel much better after it! Enough for 6 tall glasses. Lemongrass is sold in every oriental supermarket. 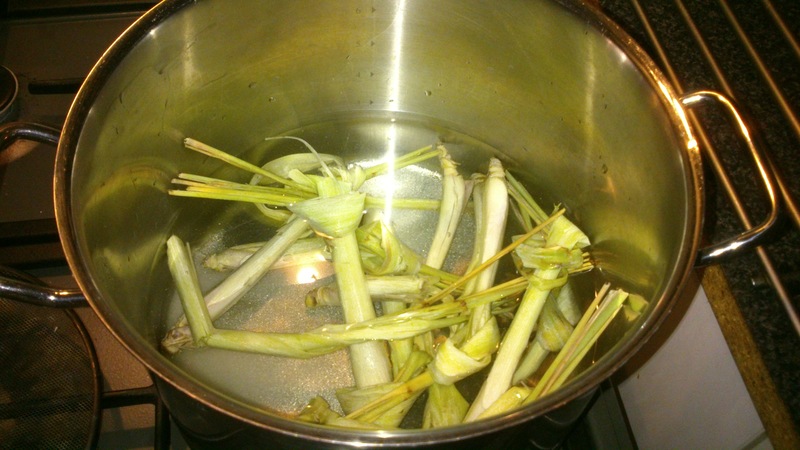 Peel the outer leaves from the lemongrass stalks. Cut the top of the stalks. Put 6 stalks aside. Squash the other 12 stalks. 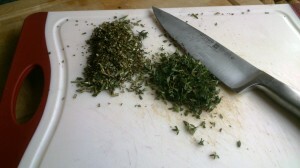 I always give them a good pounding with a pestle, but you can also use the backside of a heavy knife. This enables the lemongrass to give of its aroma. Put the water, the 12 lemongrass stalks and the sugar in a large pan and bring to the boil. Lower the heat, cover the pan and let simmer for 4 hours. 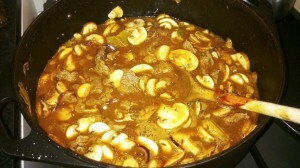 By then the liquid should have a light brown colour. You should have approx. 1,5 litres liquid. Let cool to roomtemperature and put in the fridge to cool down. When the drink is cold enough to your taste, remove the lemongrass stalks and throw away. Add lime juice to your taste. Trim the reserved lemongrass stalks and slice the lime in thin slices. 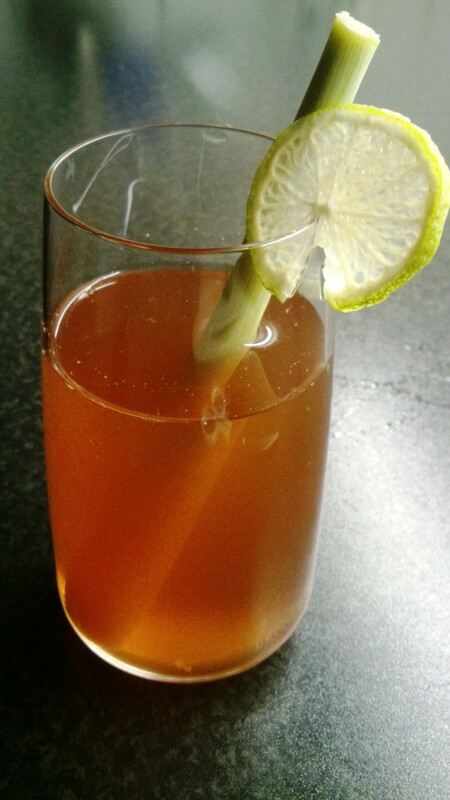 Pour the drink in 6 tall longdrink glasses, put a lemongrass stalk in each glass and decorate each glass with a slice of lime. Dit bericht werd geplaatst in Bali, Hotels, Recipes, The Netherlands op oktober 27, 2013 door Mirjam. The first thing we ever saw of Bali were 3 vulcanoes, peeping out of the clouds. As our plane descended over the Java Sea, we saw how green the island is, we saw the beaches and hundreds of fishing boats. After a not entirely smooth landing we queued for immigration. It was September 2006, just a year after the second bomb attack and things were really quiet on Bali. So immigration took a short while (things have really changed by 2013!) and after customs we were greeted by the big smile of a friendly, young Balinese man: the driver of our hotel in Ubud. After a long flight from Amsterdam we were quite happy to find him so quickly and as we walked to the car we smelt the wonderful Bali smell for the first time: kretek cigarettes, cooked rice, incense, charcoal, petrol and something undefinable, a little bit like pandan leaves. We hadn’t driven for 100 meters before our mouths fell open when we saw some enormous statues, one of the Bali gods Dewa Ruci and the other of the mythological Rama fighting with the serpents. These statues were unlike any statue we had ever seen. Their style was abundant, to say the least. During our drive to Ubud, waiting for traffic lights, we were accosted by little boys trying to sell us newspapers from 8 months back. And everywhere we saw whole families on motorbikes, foodcarts, people in sarongs and, nearer to Ubud, a procession of beautifully dressed women carrying enormous piles of fruit offerings on their head, on their way to a ceremony in one of the temples. In the Tegal Sari hotel we were greeted like old friends and shown to our room. And then we could finally relax in a place which over the next few years has become one of our favourite spots in the world. Tegal Sari means ‘beautiful field’ and it certainly deserves that name. As we were very tired after our trip we spent the afternoon at the pool and I had a massage which was so good I fell asleep halfway through. Then we sat on the terrace of our room and watched a sight which we have seen every year since then: the sun setting over the ricefields. Everything was very quiet, you could only hear someone playing gamelan somewhere. Perfect. Of course it was not only dreamlike. When we left the hotel to do some shopping for mosquito spray, we met the harsh reality of badly lit roads and high sidewalks with enormous holes through which you can fall very easily in the drainage pipes. So we decided to return to Tegal Sari after our little shopping trip and have dinner in the hotel. I still remember we were the only guests in the small open air restaurant, but we were received with enormous smiles and the atmosphere was restful and relaxed. Maarten had his first bottle of Bintang beer and I had my first taste of a Balinese rosé, Bali Hatten wine. There was a lot of room for improvement and though the wine has become better over the years, it will never compare to the wines from other countries. But the food was wonderful. We started with a spicy chicken salad which gave a real kick: lots of shredded chicken, crunchy vegetables and a really ‘pedis’ (the Indonesian word for spicy) dressing. This was followed by mixed satay: wooden skewers with grilled pieces of pork, beef and chicken. These were brought to our table on a small barbecue, the charcoal still glowing and the meat and marinade still sizzling. This was served with peanut sauce, sweet kecap (soy) sauce and white rice. It all tasted fantastic and we were very happy with our first experience of the Balinese kitchen. So the first recipe for this blog is the spicy chicken salad. 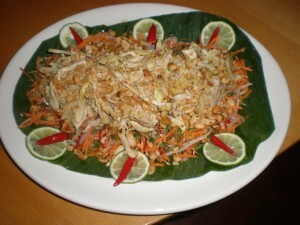 It can be used as a starter or lunch dish, but can also be part of a larger Balinese meal. I served it alongside pork satay, a spicy shrimp dish and yellow rice (nasi kuning). As I do not have the recipe of the Tegal Sari hotel, I have tried to recreate it from memory which was not an easy job. On my first attempt the vegetables were too wet and I mixed them with the dressing too early. The salad was spicy, but tasted flat and uninteresting so I started looking through my cookbooks and found a recipe for Sambel Tomat (spicy tomato sauce) in a book of Heinz von Holze, Bali Unveiled. Heinz von Holzen is a Swiss chef who owns and runs a very famous Balinese restaurant in Nusa Dua peninsula. As my first attempt for the dressing was a failure I ran out of some ingredients for the second attempt so I have adapted the recipe for the dressing a little bit. Also I divided the amounts in the book by 8 as I did not want to end up with a large bowl of dressing, but just enough to give this salad the kick it needs. And after the second attempt I was very happy with the result: crunchy vegetables and chewy chicken mixed with a dressing that spices it all up. Four to six servings as lunch, starter or part of a larger meal. For this salad you can use any vegetable which has a ‘bite’, like roots, beans and so on but I would avoid leaf vegetables, tomatoes, eggplant, zucchini or mushrooms. The preparation of the spice paste to cook the chicken legs takes some time, but if you make it in larger quantities it is also wonderful for any other chicken dish and you can keep it in the refrigerator for quite some time. The spices can be bought in every good oriental supermarket. To ease the peeling of the lesser galangal and the turmeric: do this with a spoon. Just scrape with the spoon along the root and the skin will come of easily. Wear kitchen gloves when handling the turmeric and the chillies. I did not and still have yellow, hurting hands. You do that only once. You can prepare both the spice mixture, the dressing and the chicken 1 day in advance and cool them in the refrigerator. Small red chillies (rawits) 10 grams, seeds removed, finely sliced. For the spice paste for the chicken legs combine chillies, shallots, garlic, lesser galangal, galangal, turmeric, candlenuts, palm sugar and the oil in a food processor and pulse till you get a coarse mixture. You can also use a mortar and pestle, but that takes a lot longer. Place the mixture in a heavy saucepan and add the water, lemon grass, salam leaves and salt. 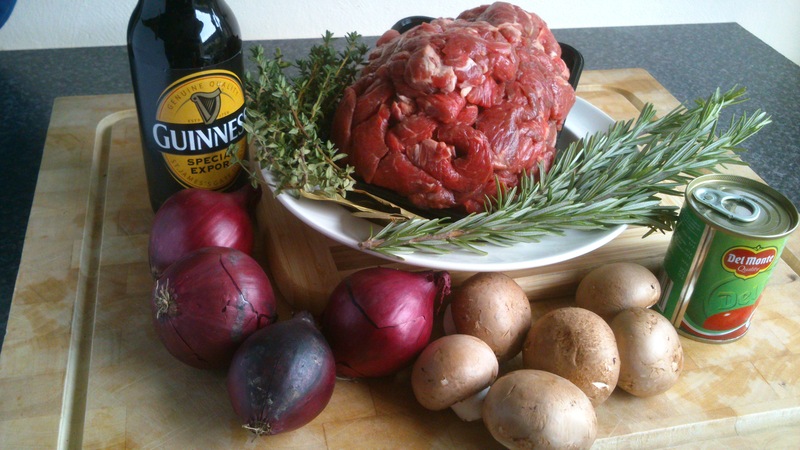 Bring to the boil and simmer over very low heat for approximately 1 hour or until all the water has evaporated. It should turn a nice golden color. Stir regularly to avoid the paste sticking to the bottom of the pan. Cool. Preparing the chicken: as soon as the spice paste is cool enough to handle, rub it over the chicken legs, heat the 2 Tbs of sunflower oil in a frying pan and brown the chicken for 2 minutes on each side. Lower the heat, close the pan and let fry softly for 45 minutes. 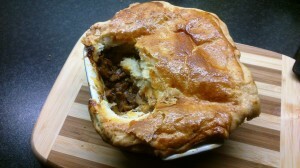 Check if the legs are cooked well, take them out of the pan and let cool on a plate. For the dressing heat the 1,5 Tbsp of sunflower oil in a pan with a heavy bottom. Add the onion and garlic until they start to turn a golden color. Add the chillies and fry till they are soft. Then add the palm sugar and the prawn paste and stir fry for 1 minute more. Add the tomatoes and stir fry for another 2 minutes or till the tomatoes are soft. Put in a small bowl and blend with a stick-in blender till you have a smooth paste. You can also use a food processor or a mortar and pestle. Vegetables: peel and slice the carrot in very narrow strips (I use a mandoline , but a grater also works very well), peel and seed the cucumber, chop in small cubes. Take the ends off the long beans, cut the beans in very small pieces (0,5-1 cm), blanch them in cooking water for 4 minutes and rinse them well with cold water. Drain well. Wash the bean sprouts, blanch them in cooking water for 1 minute, rinse with cold water and rinse well.Slices the shallots very thinly and do the same with the chillies. Take care that the vegetables are not wet, if necessary dry them with paper towels. When the chicken has cooled enough, remove the skin and the bones and with your fingers, shred the meat in small strips. 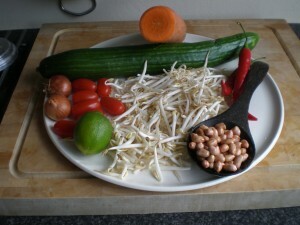 Mix the meat with the carrots, cucumber, long beans, bean sprouts, shallots and chillies. Pour over the dressing, mix with the vegetables and chicken and put on a serving platter or in a large bowl. Dit bericht werd geplaatst in Bali, Recipes op oktober 20, 2013 door Mirjam.